Vern Burkhardt (VB): What led to your interest in business model innovation? Mark Johnson: Business model innovation has posed questions for me for quite some time. My thinking started with the realization that when we talk about disruptive innovation and ask, "What does it mean for an incumbent to be disrupted?" the answer really doesn't have to do with technology. For example, Digital Equipment didn't get disrupted by the personal computer per se. Digital Equipment could have made and marketed a personal computer. In fact, it was investing in this technology. What makes disruption so hard for companies to respond to is that what's being disrupted is their business model. What was disrupted at Digital Equipment was its margin structure. DEC was making 60% gross margins on $500,000 minicomputers for its corporate computing clients. The personal computer came out at $4,000, with 40% gross margins. Manufacturing and selling these machines at those margins and prices simply did not compute at Digital. The margins couldn't sustain the way the company distributed its existing products or its profit expectations for sales per computer. So the disruptive idea called the personal computer didn't stymie Digital Equipment because of the technology; the company was stymied by the way it was organized and made money – it was disrupted because of its business model. We realized early on that disruption and business model innovation were two sides of the same coin, but the problem was we didn't have a strong definition of what a business model is. We intuitively knew that the struggle to respond to disruption was related to business models, but how, precisely, do you define what your current one is and then create a new one? This was our interest in starting the research back in late 2005 that led up to the book, Seizing the White Space. VB: In Seizing the White Space you say, "To thrive in today's marketplace, to be built to last, every business now must be built to transform." What do you mean by "to transform?" Mark Johnson: By being "built to transform," I mean being able to evolve or transform your current business model into a new business model as necessary. All sorts of pressures play on businesses and require them to adjust their business models – commoditization, technological discontinuities, economic upheaval, changes in government regulation, or on the more positive side, opportunities their own people come up with that simply can't be realized with their current model, like Xerox's famous inventions of the mouse and the graphical user interface. In these circumstances, companies shouldn't or can't merely stick to their core. They have to be open to change by being able to transform their business and the business model. Companies that have been around for 100 years are not what they were when they started. They've acquired or built new business units and divested themselves of old ones. In the process they've transformed themselves as enterprises; they've changed their business models. This is what I mean by "built to transform." We see this happen not just with businesses but with whole industries. We see the need to transform in industries such as media, health care, financial services, and other sectors as well. VB: Is it inevitable that all businesses will face a "growth gap?" Mark Johnson: It's my belief it is inevitable. Eventually, all markets mature to the point where they become saturated, and individual companies' offerings become undifferentiated. As that happens, opportunities for profitable growth by continuing to improve existing products and services shrink and ultimately disappear. Even before that, many companies face major discontinuities. The energy companies need to contend with renewable energy technology and the implications to their business models of smart grids. The entire media industry needs to respond to the new companies springing up on the Internet. Financial services companies may find their business models dramatically affected by the new regulations. So it is inevitable that every company at some point will face a growth gap where the core's not going to cut it on its own. Every company has to be thinking about different ways to serve its current customers in the future, serve entirely different customers, and come up with different ways to turn a profit in order to stay viable for the long haul. VB: You say that a "customer value proposition," one of the four key elements of a business model, should be described in terms of how the product, service, or combination of products and services helps customers do a job they've been trying to do." Is having a clear, concise CVP the key starting point to creating a workable business model? Mark Johnson: Yes, especially when you're trying to think about new growth. The fundamental reason any business stays in business is to serve the customer. In our language, it is in business to address an important unsatisfied job that customers are trying to get done. Our experience with successful companies is that they have focused on a critical job that a customer needs to get done. They offer something to address that job. All of the parts of their business model are integrated and optimized to reliably and repeatedly address that job. Everything hangs on the ability to deliver an effective customer value proposition successfully over and over again. Therefore, this is where you should start when you're trying to create a new business. VB: When comparing the successful business model of Southwest Airlines with the unsuccessful one of Song Airlines, you posit that it's important for the four key elements of a business model to be internally consistent. Is this the key to ensuring an innovative business model has a high probability of success? Mark Johnson: It's not the only key, but it's sure one of the important keys. VB: Would you say that if these four key elements are not internally consistent there's a high likelihood of failure? Mark Johnson: Yes, and, as you indicated, we can see that if we compare Southwest Airlines' successful new business model with the unsuccessful business model of Delta's Song Airlines. Every part of Southwest's model was geared to low-cost, efficient service, from its choice of small, regional airports and point-to-point routing, to its use of only a single type of plane, to even its nonreserved seating. All of the elements worked together to produce industry-leading turnaround times that kept planes flying a greater percentage of the time than competitors could. Song emulated parts of that model – the single type of plane, the point-to-point routing system. But there were inconsistencies with its "discount divas" value proposition. The amenities, like organic foods and custom cocktails which it offered to fulfill its CVP as a "hip" airline, were inconsistent with the goal of running a low-cost "discount" airline. Fun, fashionable service is not consistent with fast, efficient service. Also problematic was its decision to use existing pilots, crews, and machinists, who were all protected by high-cost union contracts and not accustomed to the resource velocity needed to make the model work. So, you can have some of the elements of your business model right, but if others conflict, they're not going to work together to repeatedly deliver what you're trying to achieve. As the Song example shows, the importance of a model's interdependencies makes it very hard to develop and run a new business model within an existing organization. But in that complexity lays the essence of a company's competitive advantage. If it were simple, anyone could copy it. Putting all the pieces of the puzzle together in the right way is not an easy task, and it takes companies years to get it right. This is why they develop and grow in stages. And why it takes any new business a while before it becomes a large, bona-fide corporation. This sounds obvious but existing companies rarely take this simple truth into account when they try to launch a new business. They think of launching a new business as being the same as launching a new line of their existing business. But new businesses need time to develop just like the original business did. VB: "Business model innovation efforts should be focused on the pursuit of something grand – changing the game in an existing market, creating a whole new market, transforming an entire industry." Should the focus always be on disruptive innovation? Mark Johnson: Well, we're really talking about taking two different points of view when you're talking about business model innovation and disruptive innovation. Disruptive innovation relates to other companies; business model innovation relates to your own company. Let me explain. When a company embarks on business model innovation, it is by definition changing its own business model and that's quite ambitious. Those efforts should definitely be focused on something grand, with the intent of dramatically changing a company's growth prospects. And even so, those efforts need to start small, as I've said, and develop, like disruptors and generally any start-up need to do. But, without getting too complicated, you can go into new business areas, create a disruptive innovation, and not necessarily have to fundamentally change your business model. That's what Procter & Gamble did when it created the disposable mop Swiffer. The Swiffer was disruptive to the mop industry, but it was very much a play on Proctor & Gamble's strength as a branded consumables corporation. So you can embark on disruptive innovation without changing your business model. And you can engage in business model innovation without taking the low-end approach. An example I describe in the book is Federal Express, which entered the package delivery market at the high end by offering to fulfill a job no one was doing – overnight delivery – which consumers needed done so badly they would pay a premium for it. Both UPS and the postal system had the capacity to develop an overnight delivery system, but it required a completely different way of thinking about package delivery, transportation systems, and information flow. It required a whole new business model than either UPS or the postal system was using. The Federal Express example demonstrates that business model innovation doesn't always focus on disruptive innovation. Sometimes an opportunity to serve an unmet customer need could require a business model that leap-frogs the market rather than slips in at the low end. VB: "Whether threatened by classic disruption or not, companies have a tough time changing their business models." Why? Mark Johnson: That has to do with how a business model evolves in a company. As the business gets better and better at executing the model, certain parts – like overhead and perhaps labor and capital requirements – become rigid. And that's as it should be, since the company is optimizing the model over time. As that happens, though, the model becomes less and less explicit. As a practical matter, the model is embodied in rules, metrics, and behavioral norms the company establishes to make sure the operations and the business works in a repeatable fashion. This ensures it can hire new people and they will be able to do things in such a way that they don't endanger the core business model. Since the current model remains implicit, these rules, norms, and metrics can make it difficult for a company to go into a new market or transform an existing market with a new model that makes a profit, or deals with customers, in a different way. In a totally rational world, where everyone knows all parts of their current model and have been thoroughly versed in the various ways the new one might work, people might be able to say, "Okay, we used to do this; but now we will do that and that will work differently but just as well, or even better." But it rarely happens. What really happens is a new model enters a company in the form of new ideas and suggestions about how to best serve new customers, and these ideas and suggestions fly in the face of all the rules, norms, and metrics that have been so faithfully carried out in the service of the old model. Being encumbered with inappropriate rules, norms, and metrics when trying to create a new growth business is perhaps the number one reason why companies have a tough time changing their business model. These encumbrances make it difficult to do things differently with a different business model. The other big challenge in changing a business model is that it's hard to get it right the first time, as you might expect to do when launching a new line under your current model. New business models need to be thought of as blueprints for how things might work that need to be tested and adjusted as you learn what actually does work and what doesn't. Many companies don't have the patience or the risk tolerance to deal with that kind of iteration process. The bigger they are, the faster they feel an opportunity has to grow to affect their bottom line. This means they don't give the new ventures the room they need to incubate and develop in the right way. VB: Or they may not have the financial capacity to continue to operate until they get it right. Mark Johnson: Exactly. They don't give the new model the room to allow it to get to the ultimate financial success, which may or may not happen for 5 or 7 years. In fact, we view the financial profile of these things almost like a hockey stick, which is to say that incubating and developing a new business model can take 3, 4, 5, or more years before it gets the customer uptake to achieve profit targets. Virtually by design large corporations tend to be shortsighted. They want quarterly growth – quarter over quarter growth. This is entirely incompatible with the long-term perspective required to incubate new ventures. VB: When talking about "The White Space Within," you say, "…to a large degree, developed markets now exist in what might be called the Convenience Era." Does this help explain why competition is becoming ever greater? Mark Johnson: Yes, I think so. You see a lot of markets becoming mature. Through the combination of that maturation and enabling technologies like the Internet, which make it far easier to make offerings more customized and convenient, a lot of markets are becoming much more competitive. Companies are therefore trying to get the attention of a greater proportion of the customers in their market segment. Oftentimes, the only way a company can make its offerings more convenient is through business model change. VB: You provide a number of examples where start-ups, with new business models, have been successful while incumbents in the industry were slow to recognize the threats to their white space, and therefore unable to respond to the unique nature of these new business models. Is that because the threats of these new business models are difficult to recognize until after they have been disruptive and successful, or is it simply because the incumbents are too burdened with their existing processes and ways resources are allocated? Mark Johnson: I think it is the latter. Oftentimes incumbents recognize the threat. The classic example is the newspapers, which recognized early on the threat of the Internet, but they were so encumbered with their existing way of doing things that it was hard for them to address it in an appropriate way. Three things make it difficult for incumbents to respond. One is they don't have a framework for thinking about responding in any way other than through their existing business model, and even if they did, they don't know how they would change their business model if they wanted to do so. Second, venturing into any of these unknown areas requires patience to test new approaches but typically, even though companies want to mitigate risk and test new models, companies don't devote the necessary time. Third, they are so driven by the financial targets that they continue to seek growth in the core business to meet short-term goals. The combination of not knowing how to navigate the unknown – not having a framework in which to do it – and the urgency of continuing to drive the core makes it difficult to change from the existing business model and address these threats in an appropriate way. What happens is resources don't get allocated to doing new things. People focus on defending the core turf and, as the newspaper industry sadly demonstrates, this is not sufficient. VB: You point out that because they saw the Internet as a threat, newspaper companies merely put their newspapers online rather than seeing it as an opportunity for growth and thereby developing new customer value propositions. Are they a perfect example of what not to do? Mark Johnson: Yes. They viewed the Internet as a threat, so that was good in the sense of creating energy to try to do something about it. But they didn't do anything to try to rethink their revenue streams beyond subscriptions and advertising. They never considered that a key aspect of their business model would have to change – how to turn a profit. I think they are now, but it has taken a long time. All they did by way of response to the Internet when they were under threat was put their newspapers online. They didn't think creatively about how they would be dis-intermediated, be it by Craig's List on the classified advertising side of their business, or by online communities such as Chowhound for the delivery of content. All the newspapers were doing was extending their business model, putting their papers online, and hoping they could get online subscriptions as well. As we know, there are whole new business models much more targeted to consumers, with different value propositions and totally different ways to make money. Of course, Google is the most prominent one, with its ad-sense and ad-words campaigns, which represent a totally different way to think about advertising. The newspapers didn't appear to consider any of these paradigm-shifting approaches for addressing the Internet threat. VB: All they did was dilute their revenue-generating potential. Mark Johnson: Exactly, whereas the reality was that there was net new growth to be had if they could reach out to customers in a new market that wasn't composed of the classic subscribers to a newspaper. VB: You say there are four main barriers to consumption – wealth, skills, access, and time. Is addressing one or more of these barriers always the secret to "seizing your white space beyond," and therefore serving new customers and creating new markets? Mark Johnson: Typically, yes. Because generally speaking when markets that could be created haven't formed, it's because people are stopped from getting a job they need done for one of those four reasons. They want something, but they don't have enough money for it, the offering is too complicated for them to use, they can't get to it to buy it, or current offerings are just too time consuming to be practical. Overcoming those barriers can open up huge new markets and enable companies to serve many, many people who need goods and services they currently can't get. For sure, that's so with emerging markets, but one might also think about markets like healthcare, where you might set up a business that enables a nurse to do things normally done by a doctor or enables a patient or other individual to do things that a health care professional does now. Those ideas absolutely apply. VB: When talking about the white space between, you say, "In fact, the very idea of business models gained prominence with the Internet boom of the late 1990s." Should most or all "old guard industries" change to different, Internet-driven, business models? Mark Johnson: Well, I would hesitate to say that all companies should all do the same thing. The essence of competitive advantage still remains doing something well that other companies aren't doing. I certainly think we haven't begun to exhaust the ways in which people can devise profitable business models, and not all of them will do it by using the Internet. That said, the Internet holds a great deal of potential for low-cost business models for companies in old-guard industries, particularly for those of their customers who aren't looking for a lot of value-added service. They may be looking for convenience or a large volume of transactions. In these types of cases the Internet and information technology can be a powerful way to think about the engine behind the business model. By automating and standardizing, such companies can reduce costs, especially overhead costs. This enables them to establish viable low-cost business models that might even be complementary to the high-touch, value-added side of their businesses. The example I use in the book is Dow Corning, the producer of silicone. It used the Internet to start an online business called Xiameter, which sells silicone without the added technical services Dow Corning had always provided for all of its customers, whether they wanted it or not. This new business model has been very successful with admirable volume of increases in sales, and more to the point, it has expanded the market rather than cannibalizing it. VB: "Conceiving a truly innovative new business model does not need to be purely (or even mostly) a matter of imagination, inspiration, serendipity, or luck. It can be an orderly process…." Is an orderly process difficult to design and/or implement? Mark Johnson: It's not. The process of designing and implementing a business model doesn't have to be difficult. But you do have to have a process, and that's what I provide in Seizing the White Space. At the most basic level it is a framework that allows you to answer the questions, "What is our current business model," and "How do we go about creating a new one?" The starting place, however, is not with business models at all. It's a three-step process that begins with understanding where opportunities lay at their most basic level – with uncovering a real job that real customers need to do. The second step is developing a blueprint for the new business model that can fulfill this job profitably for your company at a price the customer will willingly pay. And the third step is the process of implementing the new business model, not all at one go, as you would execute your existing model, but as a carefully thought-out series of low-risk experiments in which you test hypotheses about the model and apply lessons learned. It takes time to come up with a truly successful new business. If companies follow the steps in the process, and have discipline and patience, they will repeatedly develop game-changer businesses that take them beyond their core. VB: "…half to as many as 80 percent of [mergers and acquisitions] fail to create value." Given that attempts to integrate an acquired business into the core business often "kill what made it unique in the first place," what strategies should be followed to reduce the likelihood of unsuccessful acquisitions? Mark Johnson: I love this question. I talk about it in Chapter 7 of the book. The way to overcome the failures of acquisitions, to understand it from the business model lens, is to understand what it means to buy a business and why businesses acquire another business in the first place. What businesses buy when they buy a business is another business model. What's more, companies acquire other businesses for different purposes, and they need to match the purchase to the purpose. The interdependent nature of the parts of the business model means that the acquirer can either fold the resources of the target company into its own business model or use its own resources to strengthen the target's business model, but not both at once. If they're acquiring another business because they have a missing resource, asset, or technology, it's fine to acquire that business and assimilate it into the core. In that case, the acquirer isn't interested in the target's business model. But if it's acquiring a business for its unique value proposition, the acquirer must keep the model separate, so it can continue to function. That's what Daimler-Benz should have done when it bought Chrysler. The value in Chrysler, what made it different from other car companies, was its lean production system, which, having honed it since the 1980s, enabled it to design and build cars very quickly. But Daimler-Benz tried instead to reap synergies by assimilating Chrysler's resources – its customer base, dealers, and technology, none of which was particularly unique. The pathology or problem with mergers and acquisitions is that the acquiring companies often don't know what they're buying in the first place. If they are buying a different business model, when they take that business model and integrate into the core of the acquirers' business, they kill that business model, as Daimler-Benz did with Chrysler. Therefore, the hoped-for value is never realized. To increase the odds of acquisition success, companies need to document both their core business model and the target's model. Understanding the differences between the two businesses helps you decide whether you keep the acquired business a separate operation, or bring it into your core business. VB: Preferably do the business model analysis as part of the decision of whether to proceed with the acquisition. VB: That kind of due diligence, in your experience, isn't always done as you would normally expect? Mark Johnson: Due diligence revolves more around financial considerations – what is the potential growth after the acquisition, to what extent does the company to be acquired have successful operations, do they have issues or serious liabilities as a going concern? Acquirers are usually looking at the deal more in terms of the health of the business in general; they're not making a direct comparison of that business to their own core. I'm not trying to say that this is never done, but looking retrospectively we can see the challenge some companies have faced by the fact that they didn't realize they were acquiring a whole new and different business model. Time Warner with AOL, Daimler-Benz with Chrysler – clearly in those examples they didn't know what kind of businesses they were buying. They didn't know that the value was in a fundamentally different business model, which would get destroyed if it was assimilated into their own or merged together. VB: "In my observation, it's nearly impossible for a business unit to adopt and operate more than one business model at a time and do them all well." Does this mean that innovative, new business models should almost always be independent of their core or parent organization? Mark Johnson: No, not necessarily. Hilti, the power tool manufacturer, developed a new business model organically within its construction segment. Because it was a higher margin business and was complementary to many of the resources and processes of the core business, the new business was kept pretty much as part of the core. That said, things that are disruptive to the core almost always need to be separated out. They generally have lower margins and lower overhead requirements, and performance in these businesses can't be measured in the same way it is for the core. A good example is Dow Corning, which I mentioned before, which set up Xiameter as a separate company. As a lower end, lower-margin business Xiameter was not compatible with the sales force or the financial operations of the core business. VB: "The rules of an established model are particularly toxic to a new one because they frequently look like sound business reasons to avoid the unknown." Is tackling the unknown the essence of business model innovation and transformation? Mark Johnson: When you're talking about fundamental change in the business model, you are talking about doing things that are fundamentally new, either creating a whole new model or fundamentally re-inventing an existing one either to serve a new customer with a whole new value proposition or an existing customer in a fundamentally different way. By the nature of what you're doing you're tackling the unknown. This is the part that sounds scary, but as we said at the beginning, if you have a framework and a process by which to navigate, it becomes a whole lot less scary. So the answer is yes, it's about tackling the unknown. This is the exciting part because in that unknown space there's lots of opportunities for new growth, and therefore lots of hope for the future for both companies and entire economies. VB: There are also lots of opportunities to trip and fail. Mark Johnson: Yes, that's why I keep coming back to the idea that it's important to follow a framework, an orderly way of thinking about how to create the new business model. You need a managed process so you can take mitigating steps to minimize risk. VB: "Rather than employ a mechanistic strategic-planning process, organizations looking to grow in new ways should create a strategy development process." How does this work? Mark Johnson: The key behind describing strategy development is an insight that comes from the late Alfred D. Chandler Jr. of the Harvard Business School. He was a business historian; his work was done mainly in the sixties and seventies. He talked about the way businesses should be led – structure should follow strategy. You should develop strategy and then structure would be established to implement the strategy. I raised the question of whether strategy was preeminent in large corporations, or was structure dictating the strategy? The answer, I concluded, was that too many organizations are letting structure get in the way of strategy. As a result, strategy has become a short-term, mechanistic, and almost operational-planning exercise of reviewing the numbers, tweaking the assumptions, and sharpening the pencil to get to the next incremental stage. We need to go back to what I call the strategy development process, where we revisit a whole host of assumptions to try to create new growth, and we do it independent of thinking about our existing business rules and norms. That's not to say there aren't going to be some boundaries in this process, but we need to try to ensure that this process is open to new customers and new opportunities. We need to look forward 7 or more years to see around corners, and do it in such a way that we're not letting the finance people or the existing way of doing business narrow our thinking too much. VB: In "Want to Grow? Look at Your Business Model," published in Business Week in October 2009, you say, "Too many companies have it backwards. They focus on profits in bad times and on revenue in good times." Would you talk about this? Mark Johnson: People tend to equate growth with revenues and increasing profits merely with cost cutting. So it's not surprising that they tend to focus on profits in bad times, when they're worried about survival, and turn their attention back to revenue when they think they have a chance to grow in good times. The trouble is, in both circumstances, they are focusing only on their current business model. The greatest opportunities for growth don't really come from selling more of the same to more people, but from truly new ways to turn a profit. Most people understand that you can't grow a business through cost cutting and they put their growth plans on hold in bad times. But revenue should be thought about in bad times because oftentimes it's the way to get out of these bad times. Where are there market opportunities that haven't been tapped? How big could this new market segment be? Where are there whole different ways of making money? Conversely, profits should be thought of in good times, but more expansively. Rather than think the only way to increase your profits is to cut your costs, you need to envision new ways to turn a profit. In the beginning, transformative growth businesses don't earn much revenue, but they should be profitable. So if you equate growth only with revenue you will miss them. VB: You indicate that you hope your book, Seizing the White Space, will be useful for other institutions such as NGOs and government agencies. How could these types of organizations benefit from the concepts related to business models, since most of them don't seek to make a profit? Mark Johnson: Every non-profit organization or NGO has customers they're trying to serve, and a value proposition. They're also trying to generate value in the sense of success in meeting their mission. So if they want to serve different customers or constituencies, they may need to change the way they think about the definition of mission success. In order to do this they may have to think about organizing differently. VB: NGOs want to maximize their revenues as this enables them to meet their goals. Mark Johnson: That's exactly right. Or for that matter non-profit organizations also have to be at zero profits; they don't want to be financially in the negative for sure. VB: Do you have any final advice for our readers about business model innovation? Mark Johnson: I want to reinforce the idea that the business model innovation framework can be a tangible change management process which a business can use to venture into the unknown for the sake of long-term growth and financial viability. By applying the process to create the right business model, companies can identify new opportunities to meet the needs of existing, or potentially new, customers. That will not just benefit the organization. It will benefit the individuals in the organization by giving them opportunity for growth and advancement. By focusing on business model changes we can take on the unknown and make it a lot less scary place to venture into. VB: Thank you for taking the time to talk about what has, I am sure, been a bit of a mystery to many – business models. Mark Johnson: It's been a pleasure to share some thoughts with your IdeaConnection readers. In an executive summary of his book, Seizing the White Space, author Mark Johnson says, "Every successful company is already fulfilling a real customer job with an effective business model. The problem is that few organizations can explicitly articulate what that model is. Day to day, they go along guided by implicit rules of thumb, metrics, incentives, and the odd success story. But without an explicit understanding of their business model – the premise behind its development, the way its various parts work together, its strengths and weaknesses when in pursuit of new growth – they don't know whether they can use it to deliver on a new customer opportunity or if that opportunity is a move into their white space requiring a new model." It is refreshing to have the term "business model" demystified by having a whole book devoted to this topic. Mark Johnson's description of the core elements of a business model and how to innovate a company's business model is instructive, useful, and understandable. It has often been said that "structure influences behavior." Mark Johnson warns of the danger of structure influencing business strategy – a good warning for ensuring that strategy and business model innovation will enable long term viability. Structure will tend to promote status quo paradigms with an overemphasis on existing norms, rules, procedures, and metrics. 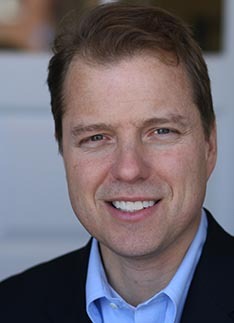 Mark Johnson is chairman of Innosight, a strategic innovation consulting and investing company with offices in Massachusetts, Singapore, and India, which he cofounded with Harvard Business School professor Clayton M. Christensen. He has consulted to the Global 1000 and start-up companies in a wide range of industries – including health care, aerospace and defense, enterprise IT, energy, automotive, and consumer packaged goods – and has advised Singapore's government on innovation and entrepreneurship. Prior to cofounding Innosight, Mark Johnson was a consultant at Booz Allen Hamilton, where he advised clients on managing innovation and implementing comprehensive change programs. Before that, he served as a nuclear power–trained surface warfare officer in the U. S. Navy. Mark Johnson received an MBA from Harvard Business School, a master's degree in civil engineering and engineering mechanics from Columbia University, and a bachelor's degree with distinction in aerospace engineering from the United States Naval Academy. He currently serves on the board of the U.S. Naval Institute. Mark Johnson's most recent work has focused on helping companies envision and create new growth, manage transformation, and achieve renewal through business model innovation. This work is the subject of the McKinsey award–winning Harvard Business Review article, "Reinventing Your Business Model." He has published articles in the Sloan Management Review, Business Week, Advertising Age, and National Defense. He is author of Seizing the White Space: Business Model Innovation for Growth and Renewal (2010), and co-author of Innovator's Guide to Growth: Putting Disruptive Innovation to Work (2008).